Quick post before heading out again. 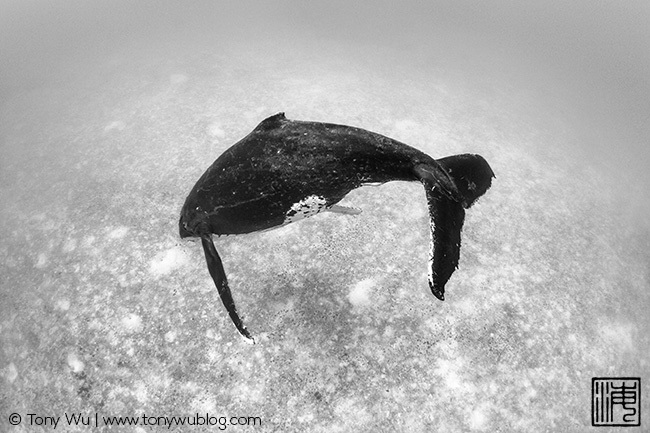 This audio file is the complete humpback whale song for the 2015 season in Tonga. The audio quality is so-so, because I recorded with the built-in microphone on my Canon 5D MkIII through the camera housing, but it's good enough to hear the progression of the song. My friend Polpich Komson helped me to edit and compile this file while I was in Thailand recently (meaning he edited while I supervised in an inspiring manner). We started with two long recordings of a single whale from the 2015 breeding and calving season in Tonga. We loaded the files on a computer and looked through the waveforms, then listened phrase by phrase until we were able to recognise the major themes and distinguish the overlapping sections. Of interest, the whale made a number of boo boos, seeming to "forget" certain notes and also mix-up phrases. That complicated matters, but after listening to the files dozens of times, we figured out the complete song...probably.